Contemporary calf, rebacked preserving spine. Some mear, foxing and browning. Cloth case. John Fonblanque (1759-1839 was an English politician and barrister. 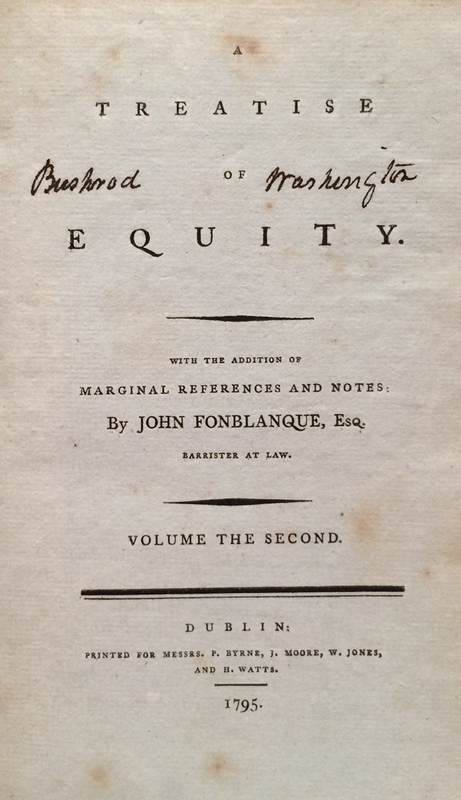 Bushrod Washington cited his edition of the Treatise of Equity in a number of cases. The influential work appeared in five editions from 1792 to 1820. Thomas Jefferson paid $7 for the third edition in 1807.